Processing Lay-Bys in Simple Inked. When a client would like to 'Lay By' something, add them to POS along with the services/products in which they are wanting to layby. Click Receive Payment and enter the deposit amount into the blue rectangle and select the Payment Type for this deposit. In this case, the client is paying a $50 deposit. 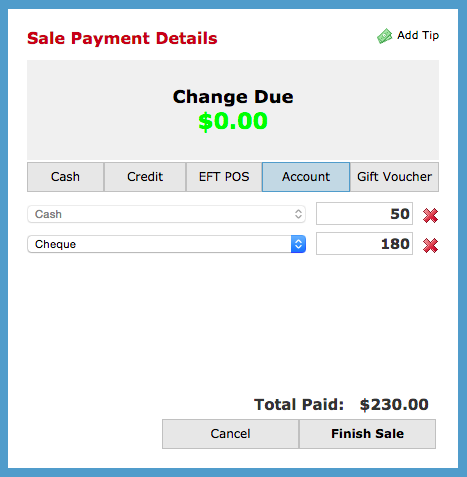 You will then see the Add Another Payment Type button - click this and the remaining amount will display in the blue rectangle below. 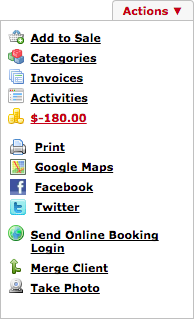 This is the amount in which they will be paying at a later date, so select Account as the payment type. Now Finish Sale and take the deposit amount from the client. Note: If it is a product, which the client has put on lay-by, pop it out the back where your lay-bys wait until they are collected. 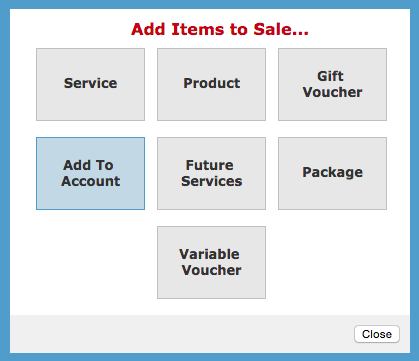 The clients outstanding account balance can be viewed in the Actions menu of the client's client card. How clients can pay back their remaining amount in instalments or all at once. 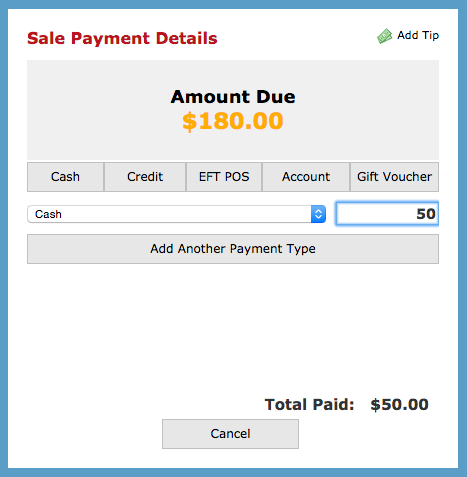 Each time the client wants to pay back some of the remaining amount or even the whole lot, add the client to POS and click the Add Items link (in the light orange strip). 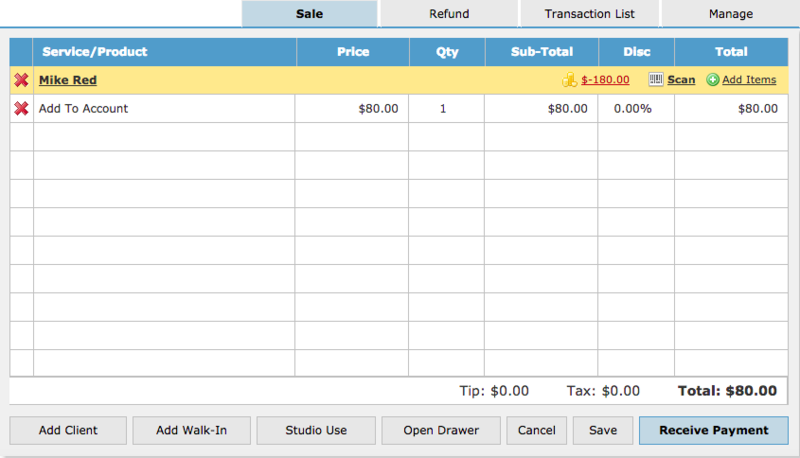 Select Add To Account and enter the amount, in which they are paying back, on the right side panel and Save. Receive Payment, select the payment type they are using to pay back some of or all of the remaining amount, and Finish Sale like normal. The client can continue to pay back the remaining amount in instalments. The clients account balance will update each time a payment is made. 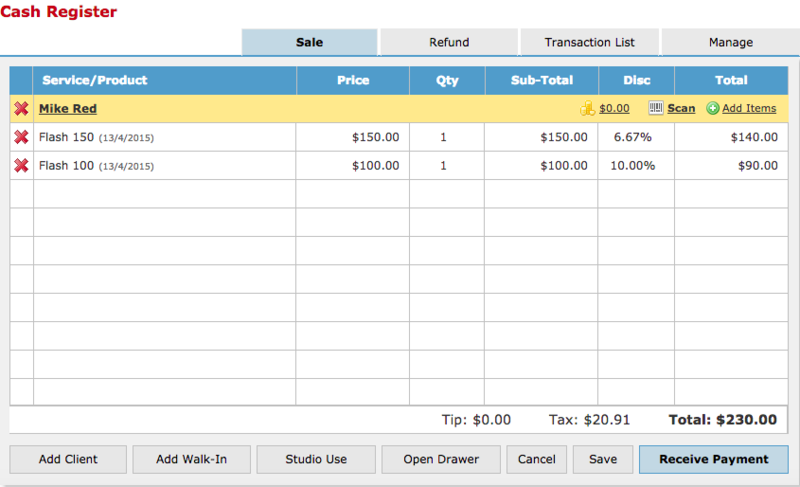 The account balance is displayed in the Actions menu of the client card.